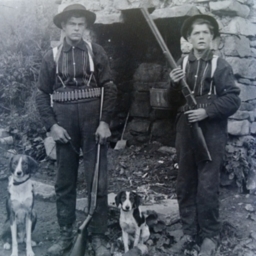 Scan of a glass plate negative showing two unidentified men and dogs, possibly preparing for a hunt. 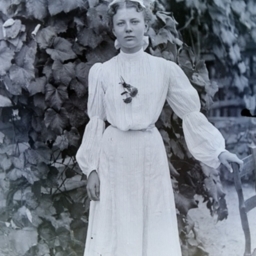 Scan of a glass plate negative showing an unidentified woman. 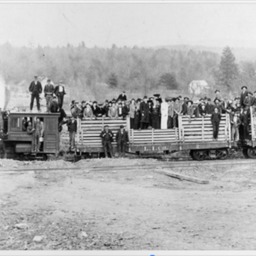 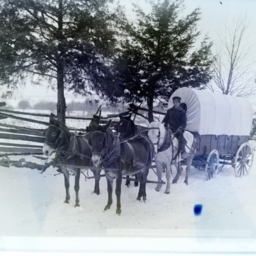 Scan of a glass plate negative showing an unidentified man with a wagon and team at an unidentified location. 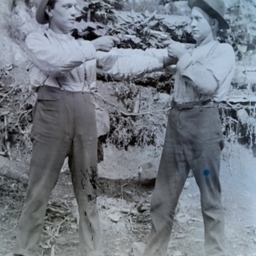 Scan of a glass plate negative showing unidentified men with guns at an unknown location. 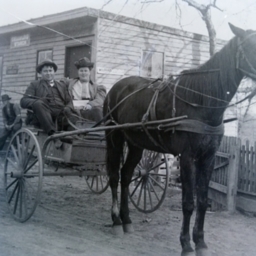 Scan of a glass plate negative showing an unidentified man and woman in a cart at an unknown location. 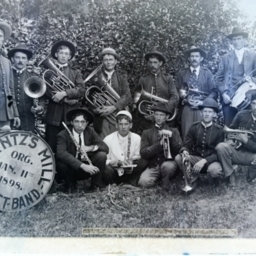 Scan of a glass plate negative showing the Lant'z Mill Cornet Band. 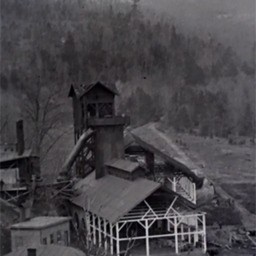 Scan of a glass plate negative showing the structures of the Liberty Iron Furnace in what is now Liberty Furnace Virginia. 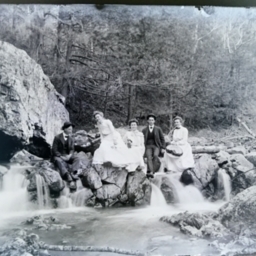 Scan of a glass plate negative showing the baptism of Catherine Sherman Hamilton by Elder Nesselrodt of the Stony Creek Church located west of Edinburg in Shenandoah County Virginia. 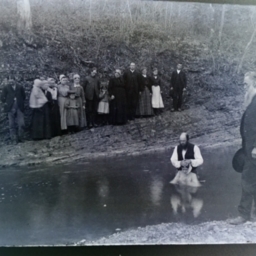 The baptism occurred in Stony Creek. 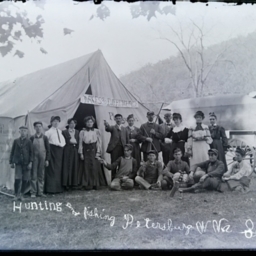 Scan of a glass plate negative showing what appears to be a hunting and fishing party in front of a tent near Petersburg West Virginia in September, 1903. 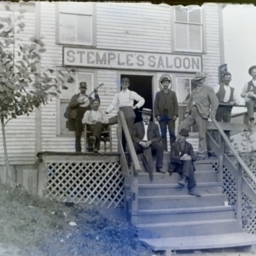 Scan of a glass plate negative showing a group of men in front of "Stemple's Saloon" in an unknown location. 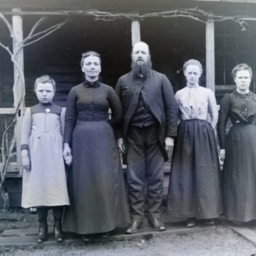 Scan of a glass plate negative showing the Nesselrodt Family in front of what is most likely their home. 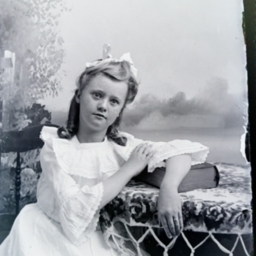 The adult male was an Elder in the Stony Creek Baptist Church west of Edinburg Virginia.